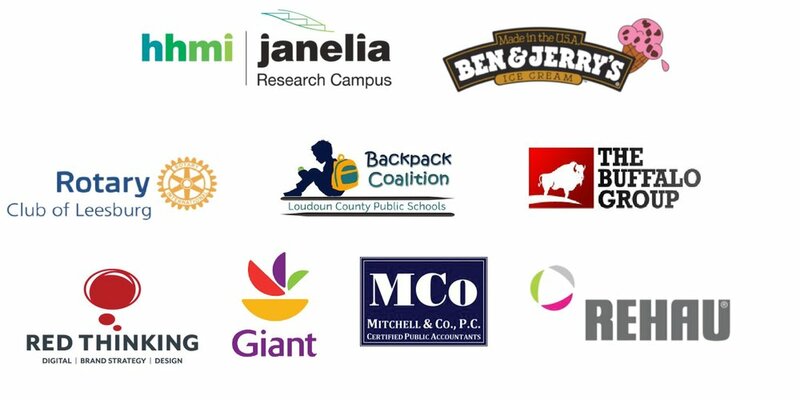 Backpack Buddies Foundation of Loudoun, Inc. (BBFL) is a private, nonprofit organization that helps alleviate weekend hunger among students in our schools. Through donations from individuals, businesses, and local groups, we provide funding and added expertise to over 20 grass roots supporting organizations that are dedicated to getting food to over 3,000 students who might otherwise go hungry over school weekends and breaks. About 1 in 4 school children in Loudoun County are uncertain where their next meal will come from. Most of these students are eligible to receive free or reduced-cost meals at school, Monday – Friday, but they lose this support on the weekend and on school breaks. In 2017, BBFL distributed over $45,000 to food programs that serve children in need throughout Loudoun County. A donation of $100 feeds nearly 20 children/provides 120 meals over a weekend! Every dollar counts! The Foundation currently gives back about 95 cents for every $1 received. Backpack Buddy program participants confidentially receive bags of food to take home for the weekend (and long school holidays) that include meals, milk and snacks. Loudoun County is home to over 3,000 students who rely on volunteer-led food programs over weekends and extended school breaks. Looking around our affluent community, it can be hard to imagine that 1 in 4 children in Loudoun County do not know where their next meal will come from. Yet this is reality for a shockingly large portion of students all around us. It doesn’t have to be. Knowing there is a problem is the first step. Wanting to help is the second. That’s where we come in. Because hunger doesn't take the weekend off!